Htc & Samsung are well known for launching out their part of flagship devices on the same day. Well Htc has snagged an Edge many times due to their design, But now it seems like the Edge got Samsung the upperhand. Yes it wouldn't be wrong to say that HTC's One M9 wasn't a strong contender to Samsung Galaxy S6 & S6 edge. As a fact of which some trusted sources claim that they're in a loss. 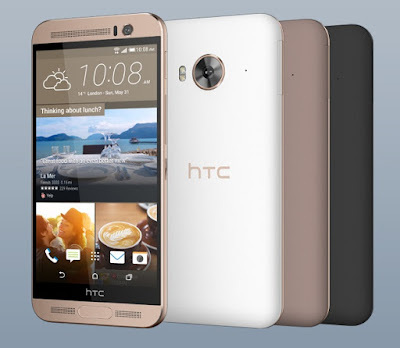 Leaving that apart HTC quickly launched HTC one M9+ sort of a device which was expected to be Htc One M9 with some higher spec's, with all those gimmicks of "Fingerprint Sensor" and all. Strangely enough I thought that significant improvements would be made to One M9 when the Cat6 version of the device would be launched just like previous versions. 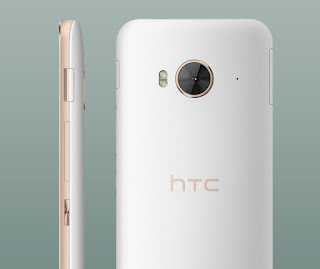 But just this week they launched HTC One ME (Dual Sim), what it's all about ? Let's find out. It has a 5.2 inch Quad HD screen (1440 x 2560). An 2.2GHz Octa Core MediaTek helio X10 Processor coupled with 3GB of Ram. It has a 20MP primary camera with BSI sensor having f/2.2 aperture capable of 4K video capture. While 4MP front camera is an UltraPixel camera with BSI sensor having f/2.0 aperture capable of1080p video capture. Low light photography is going to be good via front cam. It has 32GB on-board storage while you can expand it upto..a freaking 2TB ( & yeah that's not a typo ) of external storage via micro SD card. HTC's BoomSound dual front-facing speakers brings Dolby Audio Surround alive support to Htc One ME just like the other One series of HTC's devices. It has a 2840 mAh battery. It is 4G enabled smartphone with Dual sim. It runs on HTC's Sense 7 UI built on top of Android lollipop 5.0.2 . Simply do a Swipe up from your screen with three fingers and HTC Connect can stream music and video from your phone to your compatible speakers over Bluetooth/wifi. Htc's inbuilt gallery app aggregates all the photos & videos inside their App, as Google photo's App for some unknown godly reason doesn't show screenshots & few downloaded photos. Also See : How to setup your Oneplus Cardboard.